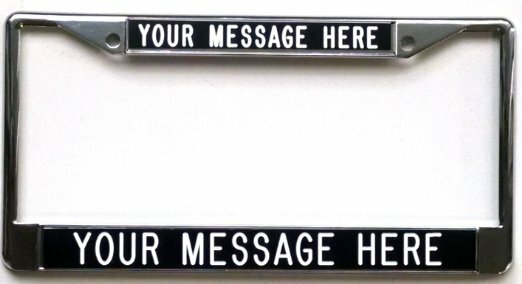 I was sick of seeing that stupid banner ad above the latest feature, so I moved it to the bottom. Welcome to Leap Day on DT, where we look at cars ready to take the Leap from depreciated crap to appreciating classic: This last leaper (not a leper) comes from those thrill seeking nuts at Mazda, the company that has taken over the sporty Japanese market that Nissan abandoned around the time they shed the Datsun name. 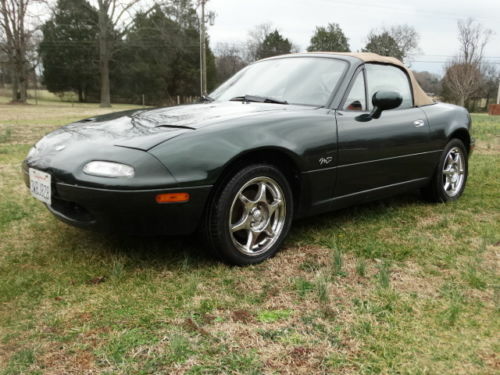 Find this 1997 Mazda MX-5 Miata here on eBay bidding for $4,050 with one day to go, located in Mt Juliet, TN. What do you make of this 1984 Toyota Camry here on eBay bidding for $3,200 with a few hours to go, located in Sioux Falls, SD. It's February 29th and Monday, so that means a special What Am I? Leap Day edition, where the car has taken a leap into something. The vehicle in question came in as a tip from FuelTruck, and was based on something from a factory, but what was this? Ready for the leap? 1984 Ford Mustang GT350 20th Anniversary Edition here on eBay bidding for $2,801 with auction ending on Tuesday. Welcome to Leap Day on DT, where we look at cars ready to take the Leap from depreciated crap to appreciating classic: The first generation Mazda RX-7 (SA/FB) was sold from 1978 through 1985 that offered a combination of spinning rotary power, cat-like reflexes, and pop-up headlights that few other cars can match, but they are surprisingly cheap to buy -- don't expect that to last forever. 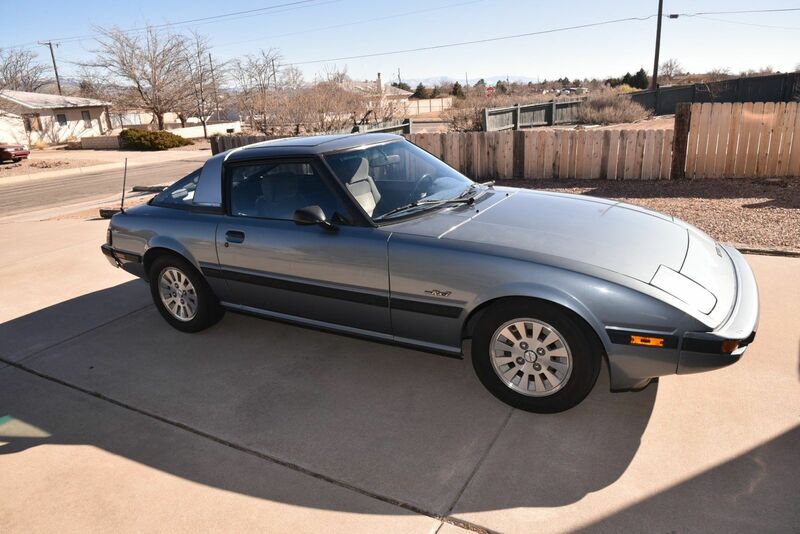 Find this 1984 Mazda RX-7 GSL-SE here on eBay bidding for $2,550 located in Rio Rancho, NM with 3 days to go. Here is a Leap Day Auction Watch car for all you water cooled P-car fans: this 1986 Porsche 944 Turbo here on eBay bidding for $9,300 with auction ending in a few hours. Welcome to Leap Day on DT, where we look at cars ready to take the Leap from depreciated crap to appreciating classic: The E36 generation BMW M3 is ready to take that leap, just look at the E30 M3, E28 M5, and E34 M5 market in the past 5 years. Sure, BMW cranked out way more E36s than any of those other M-cars, and the USDM market E36 M got a seriously de-rated engine, but it handles better and is quicker than the others, which has gotta mean something. 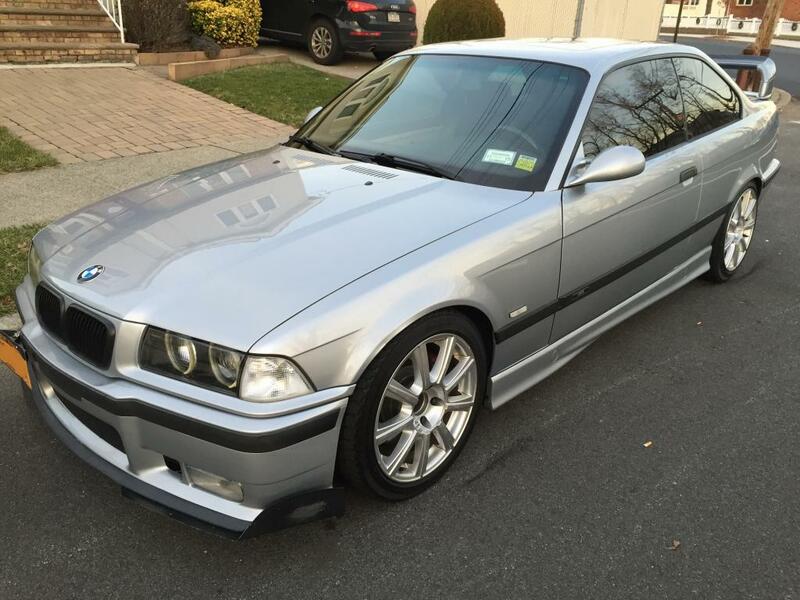 Find this 1998 BMW M3 offered for $8,000 in New York via NASIOC classifieds. Words and Tip by Andy L: Let me extol the virtues of this rare 1988 Supercharged MR2. Finding this much awesome in such a small package for such a low price is highly unusual, as many of you already know. 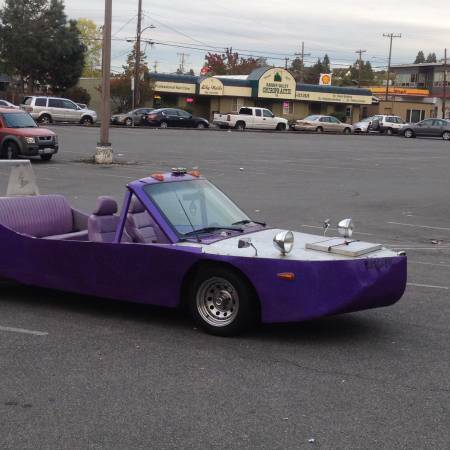 For us mortals, a good mid-engined sports car is difficult to obtain. Sure, you can get your hands on a Fiero pretty easily, but they never really lived up to their performance potential. The balancing wasn't right until their final production year and they weren't really fast, even by the standards of the day. The Fiat X1/9 was a little porky and really under-powered. Enter the MR2. Find this 1988 Toyota MR2 Supercharged offered for $4,000 in Omaha, NE via craigslist. Welcome to Sunday Drive-In, a weekly celebration of stuff on the internet worth watching. If you don't already regularly tune in for Comedians in Cars Getting Coffee, you are seriously missing out -- it is arguably one of the best automotive themed shows on the web. The Mercedes-Benz R107 2-door roadster has been a pretty good value for the past decade or so, with prices languishing around the cost of a good engine rebuild. That might be changing in the next few years as Hagerty has registered a serious uptick in value according to their online reports, but that doesn't mean you can't find a cheap version with the big V8 and a King Kong hood ornament. 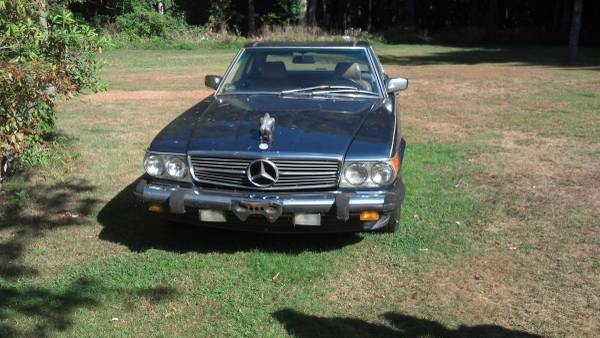 Find this 1987 Mercedes-Benz 560SL offered for $2500 in Rhode Island via craigslist. Tip from Art C.
Check out this 1973 Ford Mustang Mach1 here on eBay bidding for $6,400 reserve-not-met with auction ending on Tuesday. The Ridgeline was Honda's first pickup truck offering for the North American market and before you dismiss it as some kind of crummy import, let it be known that the Ridgeline was built in 'Murica...well North Murica, first the moose infested hills of Alliston, Ontario, Canada, and later the lyme disease bearing tick infested hills of Lincoln, Alabama, US of A. 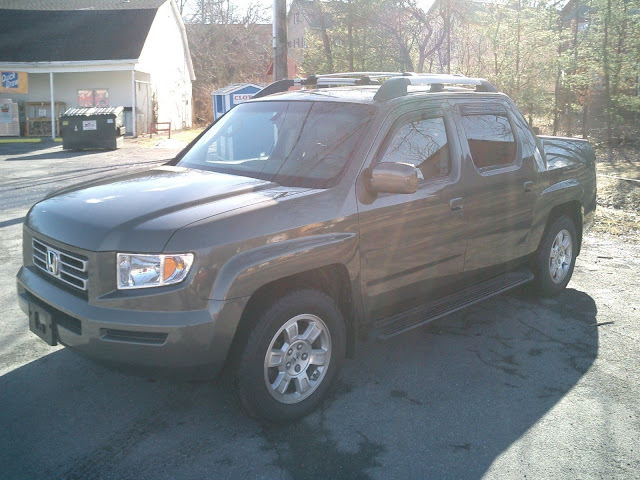 Find this 2007 Honda Ridgeline RTL here on eBay bidding for $10,200 with 1 day to go, located in New Paltz, NY. The Citroen (Citroën) 2CV (en français -- deux chevaux) was a front drive economy car that had prototype builds starting in 1939 with innovative features like a flat-twin aircooled engine and seats hung like hammocks from the roof with wife wires (really, this is true). Unfortunately a nasty global war broke out a few months later and Germany occupied France (yaddy yaddah) and the 2CV en masse production until 1948....but it lasted well into the 20th century. 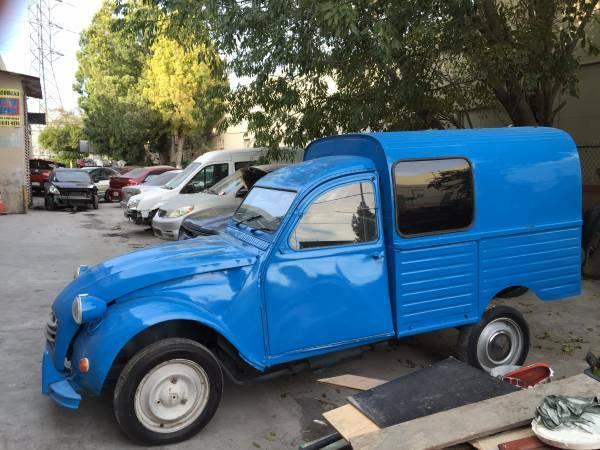 Find this 1965 Citroën 2CV Truckette offered for $16,250 in Woodland Hills, CA via craigslist. The 996 generation Porsche 911 was introduced for the 1998 model year (although technically a few were designated 1997) with a new water-cooled flat-6 and streamlined aerodynamic styling shared with the Porsche Boxster. The new styling wouldn't have been a problem if it wasn't for the fact that your new $90k 911 Cabriolet could be easily confused with some plebeian $40k Boxster, and today the early fried egg 911s (1998-2001) are a bargain. 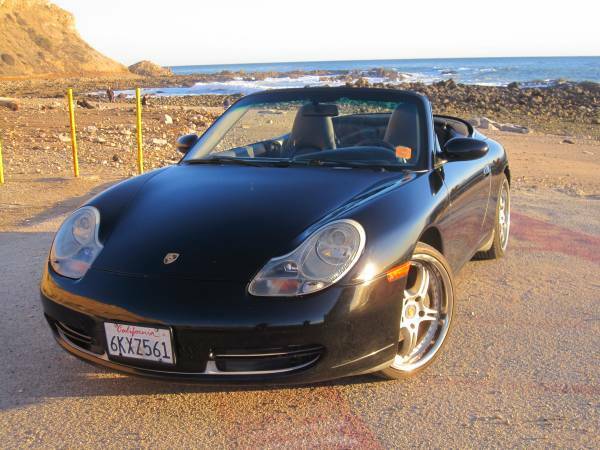 Find this 2001 Porsche 911 Cabriolet offered for $11,000 in San Pedro, CA via craigslist. Tip from Rod S.
Sit back and enjoy this 1974 Oldsmobile Cutlass Salon here on eBay bidding for $5,200 with auction ending on Saturday. 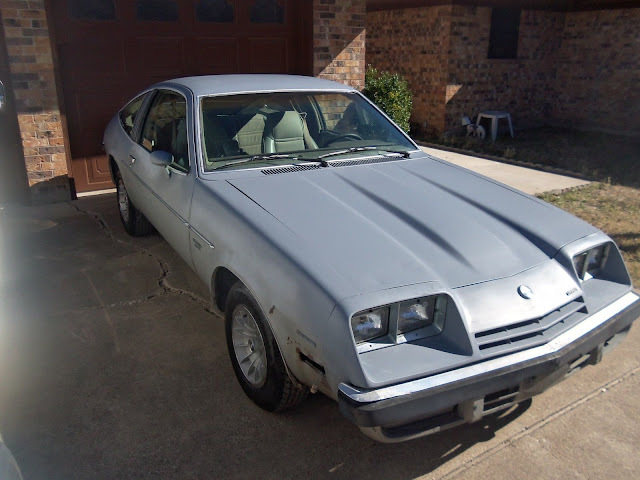 The Chevrolet Monza was released in the 1975 model year as GM's biggest subcompact offering on the H-platform shared with the Vega/Astra/Sunbird/Skyhawk/Starfire. It was GM's answer to new sporty-ish compact offerings from Ford like the Mustang II, Capri and Dodge's Galant based Colt. The Monza was actually quite a strong seller, with almost 750,000 examples of the H-body sold in the first 6 years of production, but GM axed entire line in 1980. Find this 1975 Chevrolet Monza V8 2+2 Hatchback here on eBay bidding for $2,670 reserve-not-met with 2 days to go, located in Greenville, TX.